Since 1984, Mt. Pleasant Attorneys, Dan O’Neil and Jeff Lynch, have been providing criminal defense, divorce and family law, and personal injury legal services to clients throughout Mt. Pleasant, Midland, Clare, Gratiot, Mecosta, Montcalm and Gladwin counties (Central Michigan area). Our attorneys bring a combined experience of 65 years to each case that we handle. We have earned credibility and authority with our peers, prosecutors and insurance defense attorneys, which is particularly useful when it is time to discuss issues at the negotiating table or to present a compelling case before judge and jury. In the area of criminal law, we represent clients accused of both felonies and misdemeanors, including assault and domestic violence. Our family law practice includes divorce, child custody, property division and support. In our personal injury legal practice, we represent clients who have been injured in car accidents and in other kinds of accidents caused by another. We also represent clients in tribal law legal matters. At this law firm, you will find attorneys who make it a point to be accessible to each individual client. We understand that our clients are facing some serious difficulties and that they need an attorney they can count on to provide responsive, caring client service as well as skilled legal advocacy. At all times, our goal is to provide out clients with solid advice that we can back up in Court. 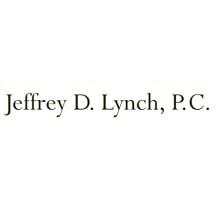 Learn more about our law firm by contacting us or visiting our website. With more than 55 years of combined experience, we know what it takes to get results. The assistance of a skilled criminal defense lawyer is vital to protecting your rights. Prosecutors in Michigan take drunk driving cases very seriously. If you have been charged with OWI or OWVI, you need immediate legal assistance. Many personal injuries result from car, truck and motorcycle accidents. We work directly with clients to develop a clear understanding of their needs and goals. Family law often involves highly personal and emotionally charged issues. We help clients deal with these issues by providing caring, experienced legal advice.